When I read the synopsis of this book, I asked for it base on the assumption that it was a political thriller – and it is, sort of. Maybe political thriller lite? It has some action, some political intrigue but mostly centres around religious beliefs, both Christian and Muslim, and the differences between them that seems to spark violence and misunderstandings. 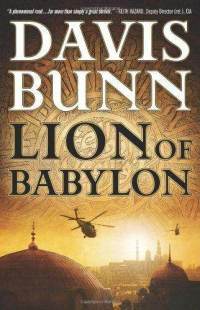 Set in Baghdad after the fall of Saddam Hussein, it follows Marc Royce, a former CIA operative recruited to go into Iraq and locate a CIA operative who has gone missing along with two women and the son of a high-ranking Iraqi man. Marc Royce was let go from the CIA after he took an extended leave to care for his dying wife. He turned to his faith and became an accountant. Needless to say, he became bored with his life and jumped at the opportunity to repay a debt to his missing friend. He ends up partnering with a prominent Iraqi lawyer, Sameh el-Jacobi. Together they discover that it isn’t only adults that are missing. A large number of children are being kidnapped and held for ransom in Baghdad. Can the cases be connected somehow? Tracing the steps of his friend and earning the trust of both Sameh and members of the Muslim community, Royce goes deeper and deeper into the political and religious words of Baghdad. I learned a great deal about Muslims while reading this book, like the differences between Shia Muslims and Sunni Muslims – after the death of the prophet Mohammad, one group wanted his son to be declared as the chief imam and the other group wanted to vote on who became the leader of the faith. The two groups became bitterly divided. I found the story line believable and well-written. It’s not filled with the violence and bloodshed that most political thrillers have but it didn’t need these to keep me entertained and turning the pages. A rarity in this day and age. I recommend it to everyone.